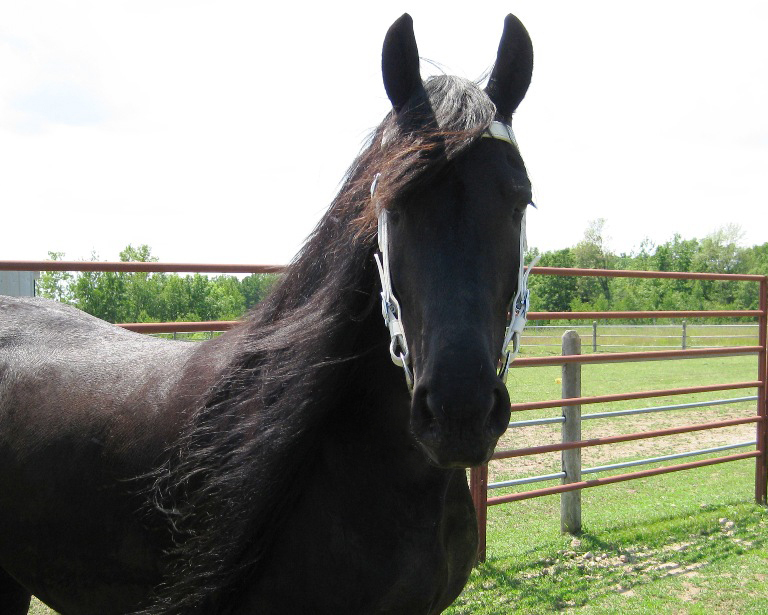 Liefke is a studbook mare, born 7/23/2003, out of Jorrit 363 (dam’s sire Sander). 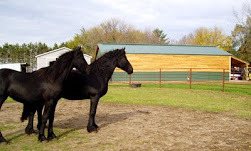 Liefke is our first Friesian we purchased and the inspiration for our new stable! She has an exceptionally sweet personality with extra long hair. She’s 15.3 hands tall and 1600 lbs. She’s graceful and smooth in her walk and has a strong floating trot. Liefke’s incredibly bright and very inquisitive. Liefke’s an extremely quick learner and strives to learn about anything new to her. 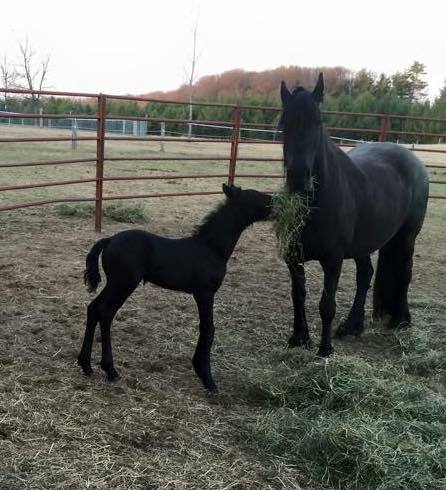 She’s very careful around children and young horses. 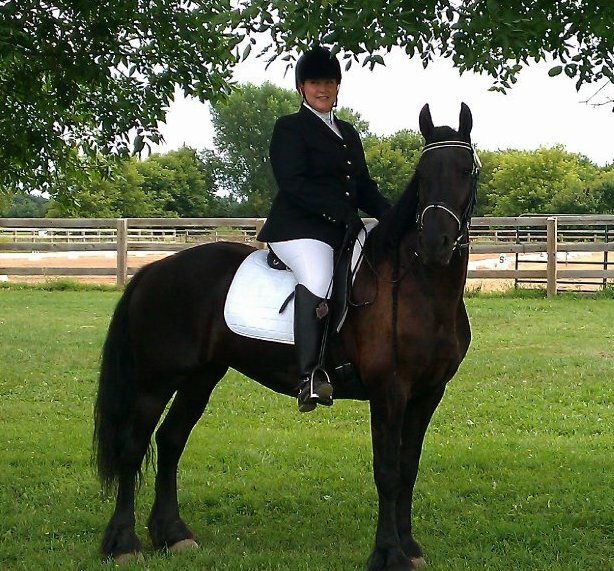 Liefke has been trained in dressage and trail riding with overnight horse camping. 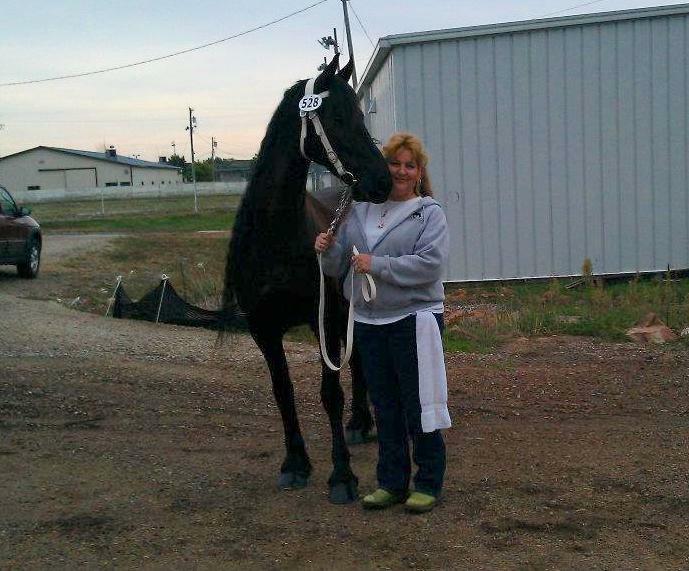 Liefke getting her hooves trimmed. Liefke got Studbook Mare at the 2006 Minnesota Keuring Inspection!